Hardest is actually to lauch out... You can start by simple / minor conversion, such as weapon or head swap. for example, the subject chosen here is a Urban Mammoth (I-Kore) Gael Standard bearer. 1) the mini: Put aside the banner pole, which won't serve this time, and take a shield taken from a blister of warriors. I'm planning on to change the sword's hand and to fix the shield on the hand which originally held the sword. 3) After having withdrawn the pommel, I slightly twisted the arm, putting it out of the main body line, in order to have a little more dynamic pose. I cut the pole of the banner just over and under the hand. 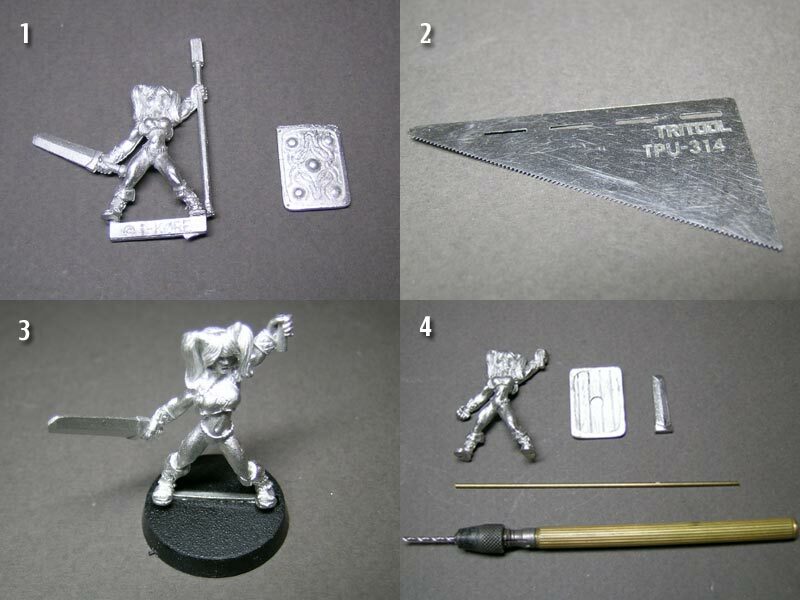 I carefully cut out the sword (easily done here) and start cleaning of the mini from the mold lines. 4) Now, the various parts are ready. To reinforce glue, I'll pin the junctions with brass rod (0,8mm). 5) For safety reasons, and to have something as clean as possible, I usually make a mark with a hobby knife or drill where I'll the holes out with a hand pin. 6) Drill gently, controlling the depth and cleaning the drill of the swarfs. Once done, glue the rod with cyanocrylate (crazy glue) or epoxy. 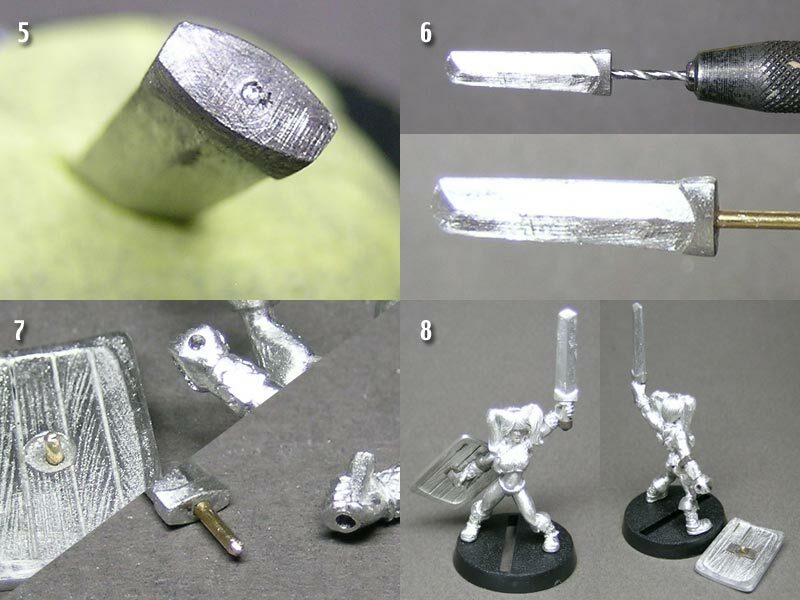 8- The sword is stuck in place, allowing to sculpt a new pommel. The shield is removable, to facilitate the painting. The inner details of the shield are made in several times, here with brown stuff. The mini is now ready for painting!